The move comes after the league told its teams to withhold the payment of off-season signing bonuses until after a new contract is ratified. Former commissioner Jeffrey Orridge issued the directive in early 2017 and it's since been supported by Randy Ambrosie, the current CFL boss. "This should not come as a surprise to the CFL given their behaviour regarding the withholding of players off-season bonuses and payments,'' said CFLPA executive director Brian Ramsay. "This player-led directive to focus on bargaining and not on providing player content for the league has nothing but honourable intentions. "When we polled the CFLPA membership, you overwhelmingly told us that collectively we should stop making appearances for the CFL until we finalize a new collective agreement,'' the letter stated. 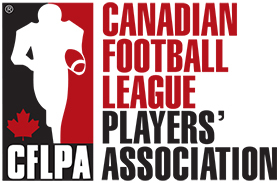 "Players who are asked by their team to participate in local community-driven or local charitable events are encouraged to do so while wearing CFLPA gear rather than team gear,'' the letter stated. "We will continue to be active at local school visits, local events and throughout our communities to engage with fans. "That will help us continue our momentum as a players' association and show the same support and respect for our communities that they continue to show us - even while we are seeking fair treatment and respect from the CFL,'' it stated. CFL players have gone on strike before. The first - and last - time was 1974 but the situation was settled prior to the start of the regular season. How can teams sign free agents withour paying signing bonuses? Why is the CFL brass holding out on announcing the 2019 salary cap? The CBA hasn't expired yet. The CFL should allow teams to pay signing bonus's until the CBA expires. That would be fair.